Did that convince you that I’m not a fraud? No? Ok, so the truth is that I make baked ziti so many different ways (shhh, don’t tell anyone, but sometimes I don’t even use ziti, I use shells!) that what’s in it is something of a whim. When I’m making it with the kids in mind I go with a straight forward cheese only baked ziti. If I’m thinking that I won’t want to go to the trouble of making a salad to go with it I throw in a bunch of vegetables. Sometimes, when I’m feeling protein deprived I throw in some meat. But, I won’t say any more about that because that’s another whole post! Ha! No, I won’t do that to you… at least not until next winter. But seriously, this post is mostly to demonstrate that many of the things I cook are more of a method than a recipe. 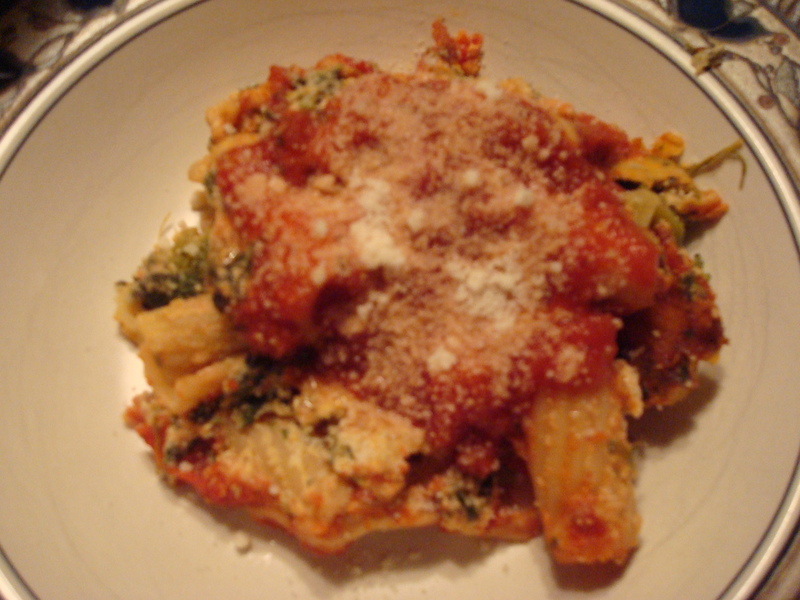 If you know how to make baked ziti you can make it how ever you want to with whatever you have on hand. It’s easy, and good and if you stick with the low-fat cheese (don’t go non-fat, it doesn’t melt right) it’s not so terrible on the waistline. 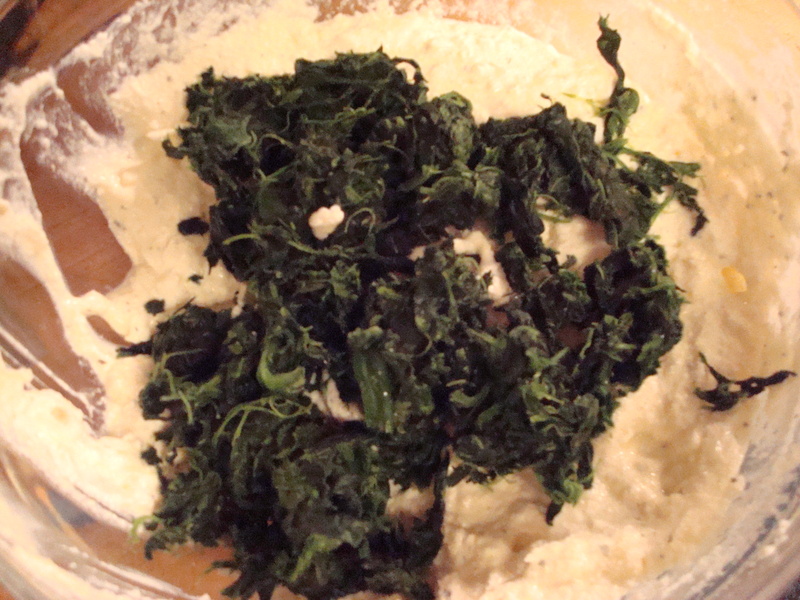 In a large bowl mix together the ricotta cheese and the eggs and mix thoroughly until combined. Add in the Parmesan cheese, garlic powder, onion powder, and dried parsley, stir to combine. Add in 1/2 cup of the shredded mozzarella cheese and the frozen spinach. In a bowl mix 1 cup of tomato sauce into the pasta. Add in the ricotta mixture. 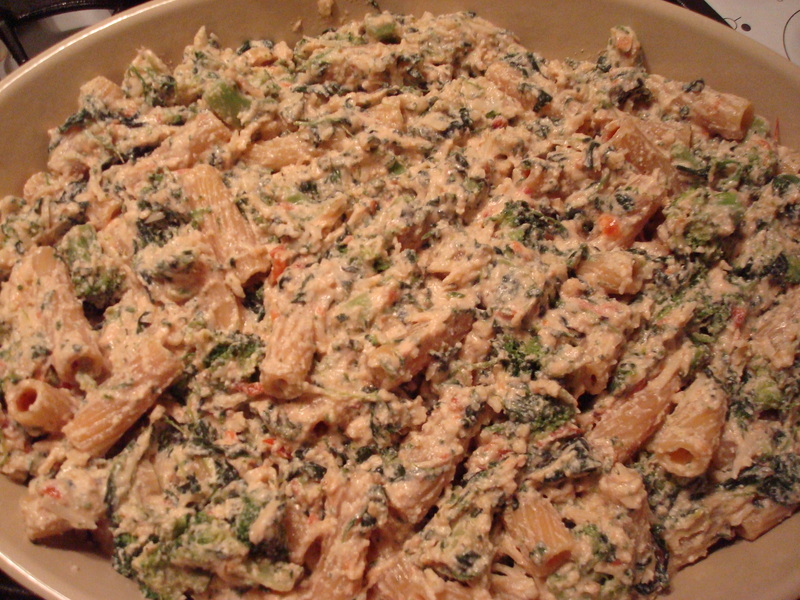 Once integrated add 1 cup of shredded mozzarella cheese and toss to combine. 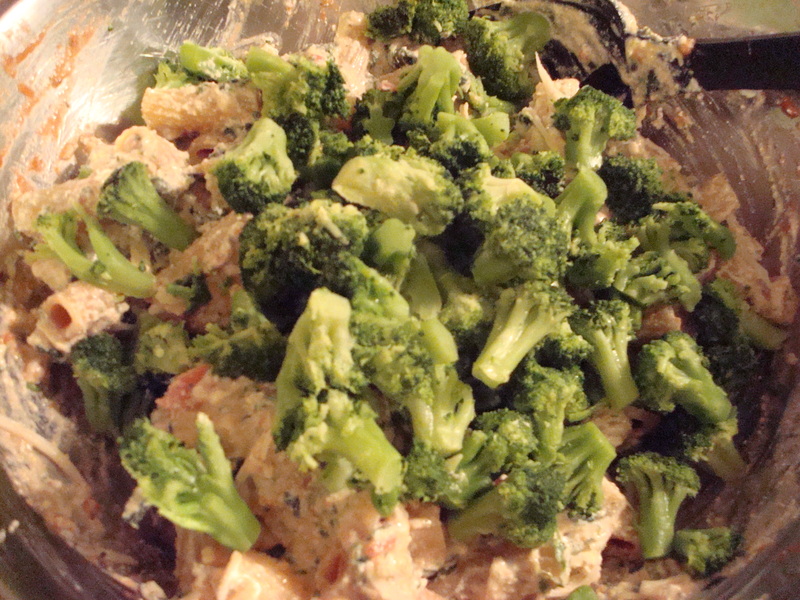 Finally, add in the broccoli florets. Pour the mixture into a baking dish. 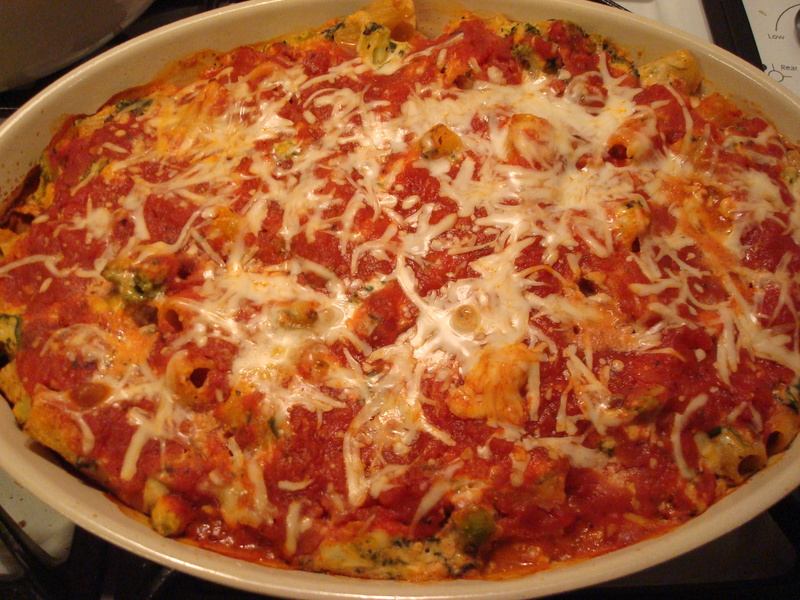 Top the mixture with 2 cups of tomato sauce and 1/2 cup mozzarella cheese. Cover with a layer of tin foil.